NOTE: Rates reflect an occupancy of 10 people or less for the 5 bedroom option and 6 people or less for the 3 bedroom option. Our villas are generally offered by the week on a Saturday to Saturday basis. 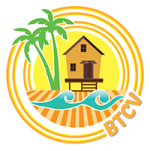 The Turks and Caicos government requires that 12.0% tax be paid on all vacation villa rentals and this cost must be added to your final payment. The Pool Level and Ground level floors are accessible by external staircase only. Air conditioning (likely not needed) is metered and charged at cost if weekly usage exceeds $150 to discourage use with doors and windows open. There is a separate, easy to read, digital AC meter where you may monitor AC usage if you wish. The Villa has separate air conditioning systems, so you may cool certain parts as needed.